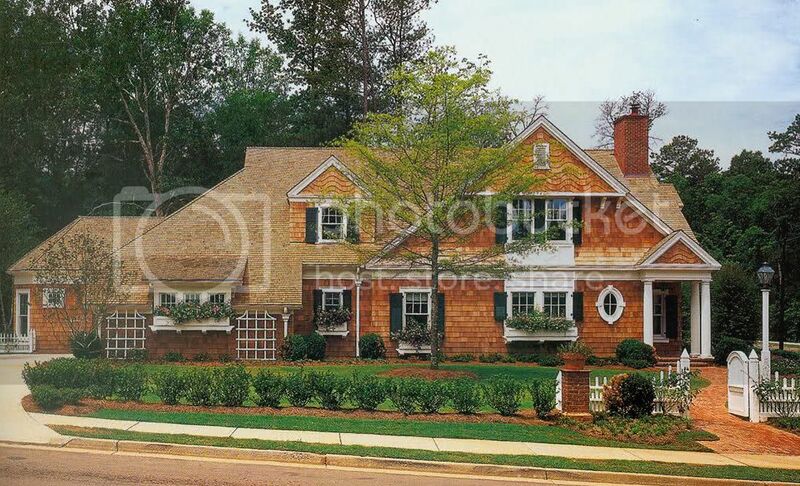 Architects design roughly 2% of the new houses constructed in the United States. Drafters, the homeowners themselves, and builders design the other 98%. This fact has long troubled architects, and rightfully so. We ask: Why is it that so many are willing to put the largest investment they will ever make, into the hands of non-architects? And: Should architects even try to bridge the vast chasm that exists in the services and deliverables that we provide and those provided by others? Some architects believe that the profession’s reputation is cheapened by engaging in activities such as cranking out mail order plans, where you do not visit the site or know anything about the client. Good design begins with the site and the house should be tailored to the lifestyles of the client. Right? On the flip side of the coin, other architects are concerned about the “elitist” reputation we have earned as patrons to only the wealthy. These architects would like to bridge the gap and bring better design to the masses. The popular media has jumped into this debate on occasion, usually in an effort to assist those architects seeking to bridge the gap and raise the level of house design. The process involves radically altering the services and deliverables typically provided by architects. Life magazine first undertook this effort in 1938 when it featured a canned "affordable" house design by Frank Lloyd Wright. (There is more than a little irony in this fact, as Wright's houses rarely met his projected budgets.) 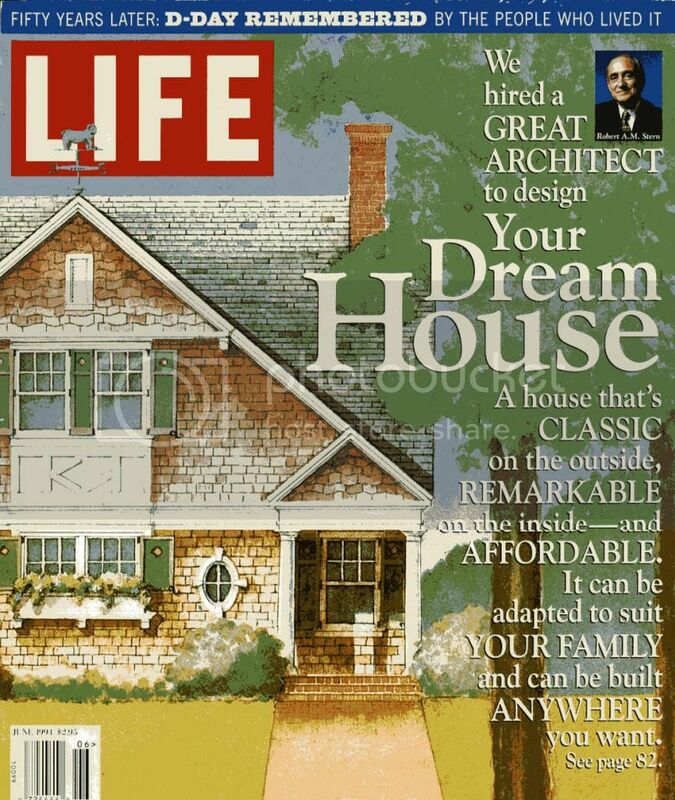 Life magazine made a handful of attempts to introduce architect-designed house plans over the years, ending in a series of house designs by the nation's leading architects beginning in 1994 and ending in 1999. It was dubbed the Dream House Program. The website lifedreamhouse.com explained the mission of the Dream House Program this way: "LIFE Magazine believed that too many people, as noted architect Robert A. M. Stern has said, "buy the house they hate the least." Life thought there had been a dramatic break in the decades following WWII between great architecture and the typical American home. The average new-construction home in America was often more a product of what builders and bankers believed would sell for the most profit than it was a thoughtful, flexible habitat that truly suits the needs of a family. Life hoped that by commissioning extraordinary architects to design Dream Houses, they could help change the face of residential architecture in this country. A truly creative home, well-lighted and incorporating intelligent use of space, can be a source of delight. Living in such a house is like living in a piece of sculpture, opening up new worlds of appreciation for what exceptional design can do." Here is how the program worked. Life magazine commissioned one architect per year to design a high quality house that an average American family could afford to build. The design was then featured in an upcoming issue of Life. 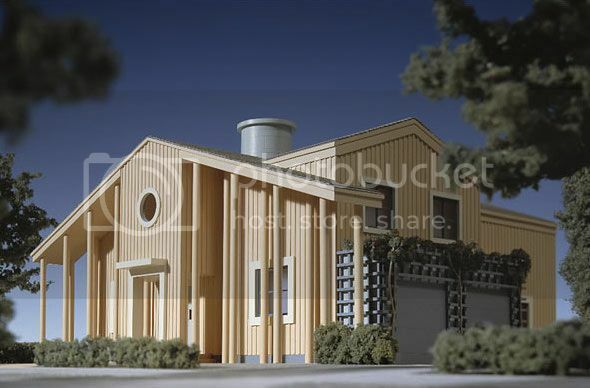 The architects were given free reign with the design and were obligated to produce deliverables, a set of construction drawings and specifications, that could be ordered by the magazine's readers. Once the plans were purchased, the Owners would be free to alter the designs to suit their particular site and accommodate their lifestyles. Below are images of the Dream House Project designs, followed by some of my observations and opinions derived from my research into the program and the houses. One thing you'll probably notice right away is the incredible design variety generated by these six architects. This reflects the fact that their approaches to the design challenge differ, so the resulting constructs differ as well. In an effort to illustrate this variety, I tried to find images that were faithful to the design intent of the architects. This was not always easy. Some designs were reshaped or altered in ways that would probably make their architect cringe. Another note: The more liberties buyers took with the house designs, the less satisfying they tended to be. I wish I could have found a image of the Suranka house that used more earthier colors and materials. At least I found an image of her design. I could not find an image of Graves' design at all, despite that he is probably the most recognized name of the bunch. Perhaps this is because he sold a disappointing number of plans, just over 100. Of those sold, even fewer were actually constructed (but that's true for everyone). Stern managed to sell over 1200 plans! This is in part because he kicked off the Program, so his designs were around the longest. But it is also because his classic traditional approach is broadly appealing. This contrasts with Jacobsen's stylized vernacular approach or Rattenbury's organic approach. I personally think these two designs are the finest of the collection, but a smaller segment of the Life's readers appreciated (and bought) them. Most of the buyers were happy with their purchases, feeling that they got a good deal - a Jaguar for the price of a Chevy Spark. A common refrain however, was that the architect's construction estimates were often wildly optimistic. Some of these house designs, especially those of Stern and Graves, were really less middle class than upper middle class. Suranka and Wedlick's designs were not flashy but were very solid. Good space planning and efficient use of space made these plans perhaps the best values. 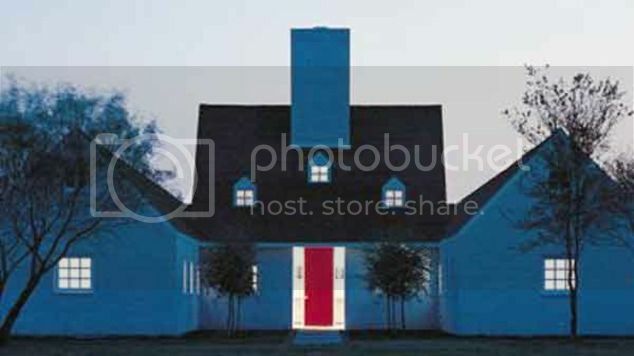 While I applaud Life magazine's Dream House program for trying to bring better design into the marketplace, it appears to have had very little actual impact. Even the architects who participated have mixed opinions on whether the program's approach was effective. When one purchases a house plan through the mail or online, even if it is designed by a famous architect, they are still getting a compromised product and only a small piece of what an architect can offer. In other words, they are getting something like an Impala (but certainly not a Jaguar) for the price of a Chevy Spark. If you really want the Jaguar, you'll have to buy the Jaguar. So, after all of this analysis, after these observations and opinions, what is the answer to the question of how architects can bridge the gap and bring high design to the masses?...... I still have no idea. But I haven't given up trying to figure it out! Next month we'll shift gears and take a look at the connection between architecture and packaging in a post entitled Wrigley's Spearmint Gum. Sorry, also John Rattenbury was spelled incorrect. If your still confused of the architects and interior design then, I recommend your visit Engineering Design Richland Wa of Tri-Cities Engineering PLLC who is the professional in structural design.